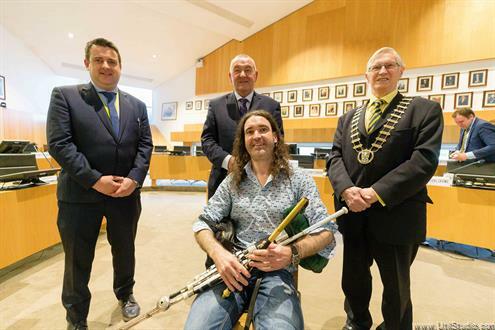 John Garvey (Kilkee Fire Brigade Station Officer), Tomás McKenna of McKenna Consulting Engineers, Councillor Michael Hillery (cathaoirleach of the West Clare Municipal District), Pat Dowling (chief executive of Clare County Council) and Councillor Tom McNamara (Mayor of Clare). Clare County Council has today (Friday) signed contracts for the delivery of a €661,000 upgrade and extension of Kilkee Fire Station. The project involves the construction of an extension to the rear of the existing building including a new drying room and BA servicing /compressor room, and the provision of a lecture room and kitchenette on a new first floor, new mezzanine floor for storage, female shower and toilet facilities with disabled access, two roller shutter doors and various other upgrade to services. 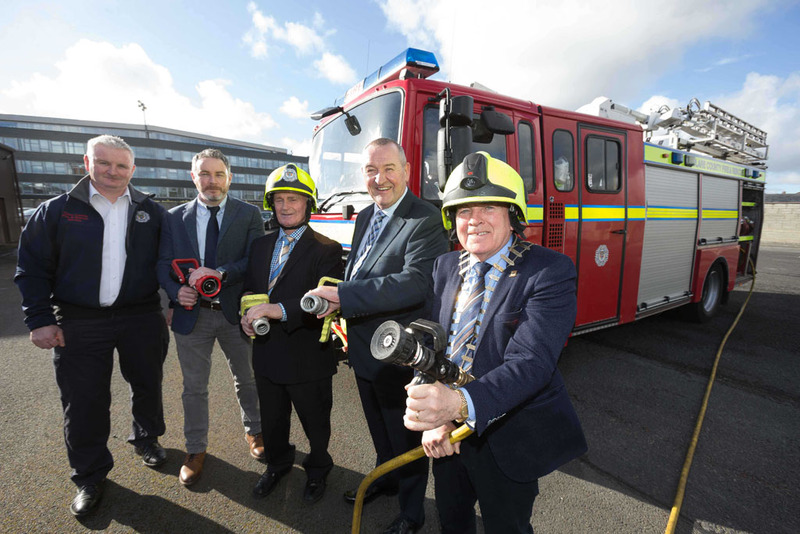 The contract is being funded by the National Directorate for Fire and Emergency Management of the Department of Housing, Planning and Local Government, which is providing €661,000 for all costs,including construction costs and design fees. Kilkee Fire Station is being relocated to Dough in order to facilitate construction work which will commence in the coming weeks and is expected to be completed during early 2019.